I’ve used Delicious for a long time to manage my Web bookmarks. It was easy to use, accessible from any browser, and worked well with Firefox. For all my needs, it was a great bookmarking service. Then I found Diigo, and suddenly Delicious didn’t look so good anymore. Diigo is another social bookmarking service (and one we’ve covered before Top Web Annotation Tools: Annotate+Bookmark+Collaborate Top Web Annotation Tools: Annotate+Bookmark+Collaborate Read More ), offering all of Delicious’ relevant features and much more. I left Delicious, and haven’t ever looked back. There are a lot of things I love about Diigo, but there are seven features that sold me on using Diigo for all my bookmarking needs. These are all in addition to the features I deem non-negotiable for social bookmarking sites- tagging, Firefox extensions, looking at popular bookmarks, etc. I seem to always bookmark a page, and then come back to it later and forget what it was that I cared about on the page. With Diigo, you can highlight the page you’re bookmarking, and then later view the page with highlights, or just the highlights themselves. No more searching through the page again to find what it was you cared about. If you’re using Firefox, Internet Explorer, or Flock, the Diigo toolbar has all the features you could want – bookmark, search, highlight, and organize all your Web pages right from the toolbar. If you’re not into those browsers, though there’s a great bookmarklet that lets you do most of that with any browser. I use Chrome, and all the functionality I need is built right into the bookmarklet. Delicious becomes more difficult to use outside of Firefox (there are bookmarklets, but they pale in comparison), and Diigo keeps on working fine. This is one of my favorite features of Diigo – when you’re reading a page, you can make comments right on the page, that show up as speech bubbles. If another Diigo user comes across the page, they’ll be able to see your comment. You can see (in the Firefox sidebar) who’s reading a page you’re on, who’s talking about it, and a real conversation can happen – unlike in Delicious, when all you can see is someone’s bookmarks. With one click, you can send a Diigo bookmark to Twitter, Facebook, or your blog. It truly takes one click, from “Send” to the service you want to use. If you want to send bookmarks to Facebook, you’ll have to install the Diigo Facebook app. You can also have Diigo create a daily digest of your latest bookmarks and send it to your blog, which I’d debate the usefulness of, but the functionality is there. Being able to bookmark a site on Twitter in particular straight from Diigo is big for me, and makes Twitter easier and quicker to use. I’m a big YouTube fan, but there are way more videos than I can possibly figure out. With “Sites“, you’re able to go through a particular site (including MakeUseOf) and find out what other people are bookmarking and reading about. You can create a watchlist, and whenever someone bookmarks a page from that site, you see it. It’s a great way to find popular and cool stuff in big, content-full sites that you might not notice otherwise. 6. Simultaneously bookmark things to Diigo and Elsewhere – even Delicious! If you have a Ma.gnolia, Delicious, or Simpy account that you want to hold on to for posterity, you can set up Diigo to simultaneously bookmark pages to Diigo and to your other service, using the “Save Elsewhere” feature. I like this because it means you can use the vastly superior Diigo, but for all four different services. Just enter your account info, and you can start bookmarking all over the Web, with one click! When you bookmark a page with Diigo, it bookmarks more than just the link (like those other sites). It bookmarks the entire page you were on, which has two great implications. First, it means you can preview sites within the Diigo page. You can view your bookmarked page, without ever leaving Diigo. It also means that you can search the full text of pages you bookmark. You don’t have to perfectly tag everything, because every word on every page you bookmark is totally searchable. Your bookmarks live in Diigo, so if a site goes down or is unavailable, you can still find it in Diigo, as well as search and view it. Diigo’s become a social-bookmarking machine, and I left Delicious and never looked back. If you want to make the switch, you can import your bookmarks from most other services- making the switch is so easy, there’s no reason not to! Diigo’s the new gold standard in social bookmarks. Do you use social bookmarking services? Which one? What are the killer features that make you use the one you’ve got? 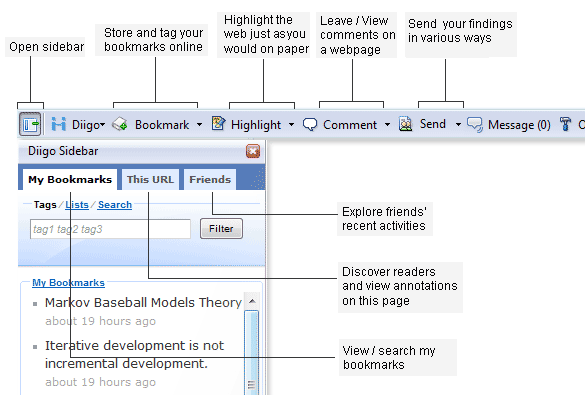 Explore more about: Bookmarklets, Facebook, Online Bookmarks, Twitter. 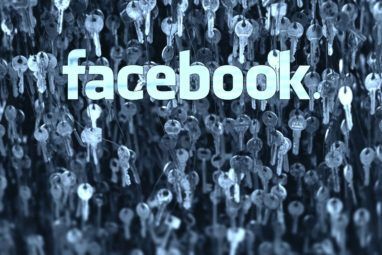 Facebook Privacy: Password Leaks, Bugs, Dodgy VPNs, and PropagandaNamepediA: What Does My Name Mean? If you ask me, the ff plugin for Delicious is so much better and less intrusive than Diigo's. Interesting site (DIIGO) !.......Nevertheless I think I will stick with Delicious. I have been using it (delicious) for quite some time and so far so good ! I tend to concur with this article - my patterns of use are enhanced by Diigo... I never really found benefit from the other tools like Delicious but Diigo works for my needs. And I think that's all a part of customising your web use - the ability to push and pull from other sites (like Delicious) tends to mean that your personal preferences are catered for but the ability to network is still there. As I also stated in the article, I'm not contradicting this article. I just wanted to offer a different perspective. Thanks for the insight but it is missing some very basic features I enjoyed in delicious. 1/ the bookmarks are not by default bookmarked by the keyboard short ctrl+d. I cannot get this to work using the most uptodate firefox addon either. I set it to ctrl+d but I cannot press OK.
2/ the search is not a live search in sidebar: when you type tags, it does not automatically filter the list. you have to press Enter. 3/ the sidebar is not enabled by default. Opening Firefox again doesn't restore the sidebar from previous session. Regarding #1, by default the shortcut is something else. Unlike Delicious, you can customize the keyboard shortcut to whatever you want and it works for me fine. Go to Diigo Options > Keyboard and you can see what the current shortcut is AND change it if you wish. Thanks magno for your reply. I have posted my problems in the Diigo group so hopefully somebody kind enough could address them. 3/ After Firefox reloaded last time, the Sidebar has been restoring properly. My bad. I have tried Diigo back and forth the last 2 years. I search for a more avanced reference/bookmarker than delicious, and Diigo alvays looked promising. But I never really felt that Diigo had "it". One thing i really miss, and that is the same in the most bookmarking services, is the ability to save formatted textsnippets to every bookmnarket. Or in comments or sticky notes. Raw text really doesnt match todays standards. You want to have space and paragraphs to make it readable. This would be a great feature, to have the ability to clip some content in rich text format or at least paragraphs and headlines with the bookmarks. Like some notetaking. I dont think this is an advanced feature - for example Trailfire has rick text formatting in their "sticky notes".. As it is now - both notes and highlighted booknarked text is strictly limited when only handling nonformatted text and looks ugly and is mixed with tags etc in the bokkmarks list when trying to clip webcontent with the bookmarket. Its hard to get structured, and you cant use the important clip and paste function. I think Diigo would be fantastic if they could include adding of rich text format fields with the bookmarket. That would make an enormous improvement.Also if the tag-suggestions could be better I believe in Diigo, really, and a there is really a need for a more advanced reference/bookmarking service than delicious more simple "thing"- I think Diigo is the right vendor to fullfill this need! But As it is now - I use a extention (zotero) to firefix fÃ¶r my reference needs, combined with google notes, It works pretty good but is partly limited to my local browser. it would be really great if I could use Diigo in the future instead! Excellent post - thank you! I used to be a Diigo user but stopped for some (now) inexplicable reason. Earlier today I was thinking about searching for a highlighter tool for Firefox that would let me mark the BBC radio programmes I want to listen to this week* when I remembered Diigo. And then I saw your post (ironically, on Delicious most popular!) so I'm off now to get reaquainted. Cheers! I tried Diigo and BlinkList a while back. Although the features of Diigo are appealing i really didn't like the massive toolbar (firefox plugin) - i found it slow and cumbersome. So i stayed with trusty delicious. Anyway I wasn't not really looking for better features i just wanted somewhere to keep my 'marks. Also i found the Diigo site kept on going down. Good post anyway, there were some features i'd forgotten about. If i get a quicker machine maybe i'll give it another go. Another note: how long ago have you tried Diigo? If it has been a while, love to invite you to try it out again - our performance should have improved a lot now and one that we're constantly improving! Thanks for your suggestion. Recommendation tags of a URL is highly dependent on how many users have bookmarked the URL. After more and more users come to diigo, the quality of recommendation tags will be better. I liked your post and was curious if you'd like to try out another product called WebNotes? Its more focused on being a research tool than a social annotation tool and I'd love to get your feedback. Let me know and I can set you up with a free account. I'd love to try out WebNotes! Poking around the site, it looks like a great product. Unfortunately, I don't have your email, but if you email me at davidpierce [at] makeuseof [dot] com, I'd be thrilled. Thanks! While comparison chart can give a quick overview, I'd also imagine it's also quite challenging to do one well since sometimes it's hard to compare "apple with "orange" with one simple checkbox. 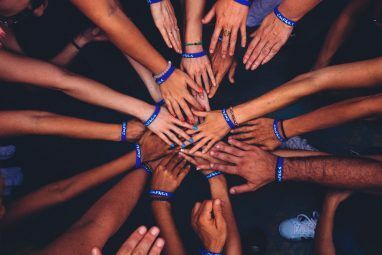 A perfect example, when one service claims to have "group support", the depth of group features and usability matter a great deal to a user's ultimate user experience. I would love to see a comparison chart of all bookmarking sites ( Stumbleupon, Digg, Delicious, Magnolia, Diigo, etc... ). I'd like to see which comes out ahead on a variety of services. I am also interested in the privacy features, and the site's privacy policies. I didn't experience such problem. Could you send your diigo user name to joel ã€atã€‘ diigo dot com? We'd like to look into it. Thanks very much for your thoughtful review of Diigo. Really appreciated! @Alfred, Thanks for alerting us of David's great post & your continued kind support! @Heather, Please make sure that you save the "Save Elsewhere" setting (Toolbar > Options > Bookmark & Highlight Tab > Bookmark Elsewhere > click "Set Up' link) If you still experience issue, please email us for support. We'll help you look into it. @magnoliasouth, cool comparison chart! Thanks for your feedback on our user forums. Great to have another power user on board! @megamike, thanks for reporting - pls email us or write to our user forums. We'd like to look into it. We'd love to welcome you all to Diigo - the place where information, knowledge and community come together! That shouldn't be the case.. Try exporting them from delicious first to an html file, and then importing the html in Diigo. That worked for me, but then again so did importing straight from delicious. Give it a shot, let me know! This is joel from Diigo. I can't reproduce the importing tag problem you experienced. Could you send your diigo user name to joel [at] diigo dot com? We'd like to help you solve the problem. I've had the same problem - importing bookmarks from delicious, but not getting the tags (Friday, Apr 24, 2009) as I opened my diigo account. Were you able to find a solution for megamike? I've tried opening an imported bookmark and re-typing the tags (as "edit"), but that hasn't added tags in diigo either. Sure hate to lose all of those tags. I also have a "tagging addiction" problem :) Upon closer inspection, Diigo seems to have everything I wanted in tagging! "The first ones are related tags and the others are keywords. " Wonder what do you mean by that? After doing a lot of testing on Diigo, I've come to see some serious genius behind it! In fact, I'm working on a spreadsheets.google.com/ccc?key=psV0oYWeZovm_Yxk6kmFNGQ comparison chart between bookmarking sites and Diigo is clearly the winner here. However, there are two features Delicious has that Diigo doesn't appear to have (yet), and these features I use frequently. The first ones are related tags and the others are keywords. That said, all else is perfect. On the flip side there are two things Diigo has that Delicious doesn't have -which I absolutely adore - and those are easy tag renaming and what I mentioned above... private by default. Yayness! I have come to fear the dreaded drop down box on the Delicious tag renaming website. When you have a serious tagging addiction problem (there just has to be a support group online for people like me) and you try to fix all your past mistakes, it becomes a process that can take days, even weeks, to correct because you have to scroll scroll scroll scroll scroll scroll (x100 more) then select and rename. How very 90's that is! I finally had to get a new account and start all over just because the editing was an exceptionally tedious nuisance. In any case, I can see myself using Diigo now instead of Delicious. You like it so much you only provide links to Digg, Delicious, and StumbleUpon in your posts? Now THAT is a good point. I should see what we can do about that. Good looking out. I've never heard of Diigo but I'm SO happy you posted this. I use delicious and I've not been all that happy with it. I'll have to look into this. My one thing is tagging and privacy. I've hated how Delicious makes you tick the private box each and every time you want to keep things private. I've begged and pleaded for a privacy by default setting only to have it fall on deaf ears. Diigo might fill the bill for me. I've been a rabid fan of Diigo for several years. As a genealogy addict, it's a fabulous research tool and when you are collaborating with others using the groups feature, you can build your own resource directory to support your research community. I've also found it a great cookbook (bookmarking recipes I find online), Christmas wish list, reference library and software directory. Then there's the fact you can generate an rss feed from almost anything. Yes, it is quite impressive. I forgot about the RSS piece! It's a great tool. And I like the idea of using it for a cookbook and a Christmas list- great ideas, thanks! I've still got a foot in both camps, mostly I guess because I haven't really exploited all the Diigo features - this article has inspired me to try harder! One problem I've had though is the automatically save to another program feature. I thought I had diigo set up to save to delicious as well and was happily saving expecting everything to be saved in both. Well, they weren't and when I tried to set it up again it wouldn't recognise my Delicious account. I guess what I'm saying is don't assume it works. Heather, I'm curious what's still got you using Delicious. I know they just rolled out a few new features for their anniversary- anything worth noting? I can't speak for Heather but what keeps me with delicious is the sheer number of people I know who use it. We all share items of interest amongst each other, which is probably the most useful function of delicious for me. As the social aspect of online services increases, its harder to keep jumping from one to another without losing people at each hop, all of which leads to a diminished social integration. David, that's a great post! I used to use Diigo a lot, and I had similar feelings as you have now. Sticky notes and highlighting are the most awesome options. If I had to choose another great one I think BlueOrganizer would be it, great for organizing anything really. Thanks for pointing out BlueOrganizer. I'm looking through it right now, it looks pretty great! Thanks for the heads up.